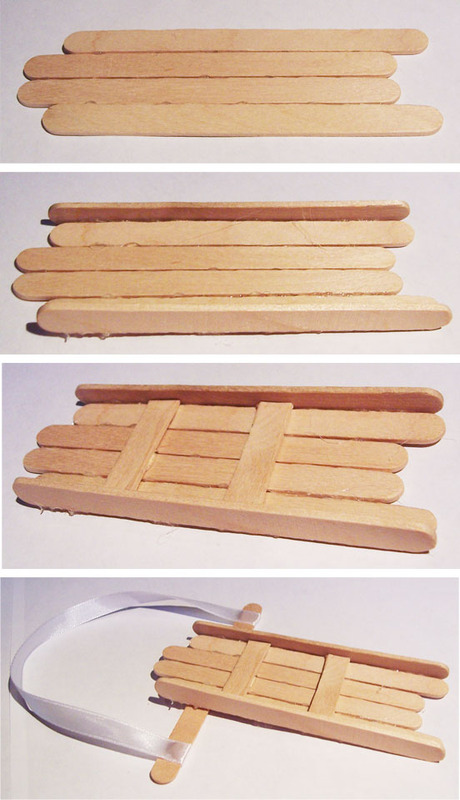 Today I have a tutorial to make a little sleigh out of popsicles, and all you need is 8 sticks, some wool and your glue gun! 1. Start by gluing two sticks together. Then glue a stick either side of these, about 1cm lower down. 2. Then at right angles glue a stick on either side to make the edges. 3. 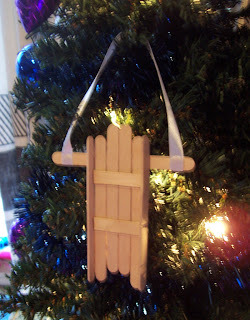 Cut a popsicle stick in half, then snip off the ends so it fits within the edges of the sleigh, and glue it down. 4. Add a popsicle across the back of the sleigh, and add some wool or ribbon to hang it up with! You could then paint them, or add glitter.. endless possibilities! This entry was posted in Christmas, Christmas 2012, Christmas Tutorials, Seasonal, Tutorials on December 9, 2012 by Handmade Cuddles.